use the practice of reed cutting as a management tool in selected areas and regulate it so as to improve habitat diversity and generate income for the local community. 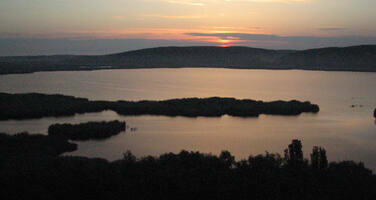 IUCN has noted that the plan foresees the preparation of a project to establish a bilateral Ramsar site with Romania. IUCN has urged that the Centre/Ramsar/IUCN mission, recommended by the Committee at its last session, is fielded as early as possible in 2001. The mission should review plans and processes for transboundary co-operation and clarify other management issues including: long-term water management regimes, links and water-flows between the Danube and Srebarna; specific management needs in the short-to-medium term, including technical and financial support from external sources; and indicators for systematic monitoring of the state of conservation of the site. The Bureau commends the State Party and the Ramsar Secretariat for the preparation of the management plan and invites the State Party to consider the recommendations of Ramsar for further refining the plan as highlighted in the report above. The Bureau urges the Centre and IUCN to consult with the State Party and determine an early date for a Centre/Ramsar/IUCN mission to the site in 2001. That mission, apart from addressing issues highlighted by IUCN should also study, in accordance with the wish of the last session of the Committee, the following: the sustainability of the rehabilitation efforts undertaken; and whether the twenty-fifth session of the Committee should consider removing Srebarna from the List of World Heritage in Danger. Lake rehabilitation and assessment of its rehabilitation success; management plan finalization and adoption; and transborder co-operation with other States Parties sharing the Danube River. In accordance with the recommendation of the last session of the Committee, reiterated by the twenty-fifth session of the Bureau in June 2001, the State Party invited a Centre/IUCN/Ramsar mission to the site. The mission to the site was fielded from 1 to 4 October 2001. A detailed report on the mission’s findings is under preparation and will be included as document WHC-01/CONF.208/INF.5 for review by the Committee. The Centre representative in the mission team however, provided an oral summary highlighting salient findings of the mission. IUCN will provide its review of the report to the Committee. The mission team considers the rehabilitation of the site successful. Improvements observed by a 1998-mission have all been sustained and the chances that these improvements will continue to be sustained in the future are quite favourable. Key parameters indicative of the site’s recovery, such as the population of the dalmatian pelicans, control of water flow in and out of the lake, water quality indicators and institutional aspects such as continuity in data collection and maintenance for systematic monitoring of the state of conservation of the site, show positive or stable trends. The mission team was impressed by the dedication of the site-staff to preserve the site’s World Heritage values, despite cash-flow and financial constraints. The State Party may wish to submit a request for international assistance from the World Heritage Fund for purchasing equipment and materials essential to ensure effective regulation of water flow in and out of the Lake. The mission team noted that the preparation of the management plan for the site is progressing and that the issues highlighted by the twenty-fifth session of the Bureau in June 2001 are being addressed. The management plan, being prepared with a small grant provided by the Ramsar Secretariat Bureau, is expected to be finalized, and adopted by the appropriate authorities in the Government in due course. Discussions with other countries sharing the Danube Delta to develop an approach for transborder co-operation for World Heritage are also underway. "The Committee congratulates the State Party for its commitment to successfully rehabilitate the site and sustain all of the positive trends reported by the 1998-mission. The Committee welcomes the management’s co-operation with the scientific community to ensure continuous data collection that enables systematic monitoring of key parameters reflective of the trends in the state of conservation of the site. The Committee invites the State Party to finalize the management plan soon and confirm its adoption by the Government and to submit a calendar of activities for preparing a proposal for a trans-border World Heritage area in the Danube Delta in co-operation with other concerned States Parties to the Convention. The Committee recommends that the site be removed from the List of World Heritage Danger, effective from the date at which the State Party submits, to the Centre, IUCN and the Ramsar Convention Secretariat, a copy of the approved management plan for the site supported by a statement from the State Party commiting the necessary resources for the timely implementation of the plan."